Over time, teeth can become stained as a result of certain lifestyle choices. From drinking coffee and red wine through to smoking and the natural act of ageing, the discoloration of teeth is inevitable. Fortunately, the experienced team at V Care Dental can provide professional teeth whitening in Frankston and Patterson Lakes for those who want to restore the appearance of their teeth and improve their smile. 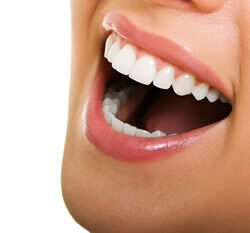 A teeth whitening procedure is a popular method of lightening the existing shade of your natural teeth. It is a simple and effective treatment that can be carried out at a dental clinic by a professional teeth whitening dentist or in the comfort of your own home using a teeth whitening kit. Whatever you choose to do, you can rest assured that our teeth whitening procedures are non-invasive. A consultation appointment with our teeth whitening dentist will be organised to examine and assess the condition of your teeth and gums. This will allow us to determine the tooth whitening option that best suits your needs. Please be aware that teeth whitening procedures are unsuitable for crowns, bridges, dentures and implants. Teeth whitening procedures are recommended 12 to 18 months to maintain your desired shade. Contact us today to learn more about our teeth whitening in Patterson Lakes and Frankston or make an appointment.